Life is full of little aches and pains. We don’t take too much notice of them and doctors tend to shrug off these unglamorous ailments prescribing painkillers and rest. As we age, the aches and pains increase and there are more movements that we can no longer do, but we are told that this is just an inevitable part of getting old. Sarah Key’s book sets out to show us that there is much we can do to stop the aches and recover movement we thought we had lost forever. 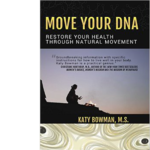 She identifies the signals our bodies send us as warnings that we are mis-treating it and the lifestyle actions we take that cause the problems. 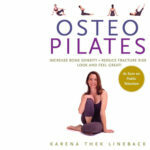 She devotes a chapter to each joint, describing its anatomy; its bone and muscle structure, how it works, what goes wrong and gives a program of progressive stretching exercises to improve the situation. The book is simply produced – no lavish photography, but Key’s use of language is vivid and colourful, showing that a technical, informative book can also be a joy to read. Recommended.